PBP 4-Lom & Poch Han Hoth are sold. Many more HTF figures left and many more to be listed soon. 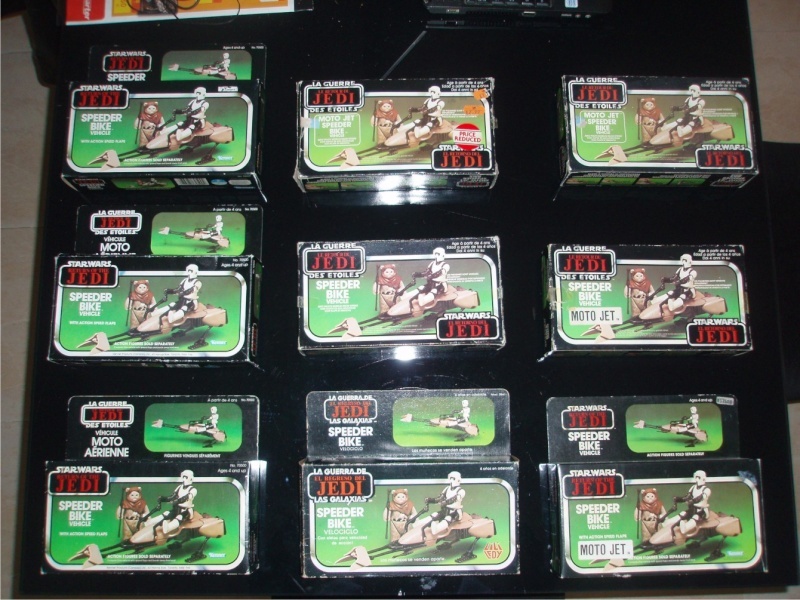 RARE Poch Jawa, Poch 2-1B, & PBP/Euro light blue Boba Fett pair added. Poch C-3PO, Poch Obi Wan and more figures/variants added. I cannot believe, that some of the others havn't sold yet..
That POCH C-3PO is such a nice figure...no takers??? Really?? Kenneth prices are very fair, and 200% POCH/PBP guarantee. Thanks for the words gentlemen! Coming from my best collector friend (and very good personal friend) & from Chris who is a very close collector friend of mine... THANKS guys!! It's just not sellers market these years imo... Two or three years ago figures like the PBP Luke Hoth & PBP Han Hoth had sold within a day or two at these prices. Same goes for Lee's figures, Gregs figures, Wolffs figures (when he is occasionally selling some rare stuff) etc, etc. For the Poch figures it might however also be a result of lack of knowledge or fear to receiveing something mixed up having paid a pretty high price? Or maybe my prices are just too high at todays market for high end variant figures..? Perhaps worth having a discussion on this issue at a later point in the chat section? I overlooked your post at first glance.. Thanks to you also my friend! Please e-mail me btw when ever you have a little spare time.. I have probably spent my annual quote of comments not directly associated with my sales by now, so I want to use the last lines wishing all of you a great weekend and a succesful 2014. Both in terms of your respective sw collections as well as in your personal lifes! Guys...take them while they are hot! If I could afford that Jawa it would be mine since weeks!!! Bump for a great friend and seller!! Some sold figures removed, some price cuts/reductions and much more to come soon.. I'm as always open towards reasonable cash and trade offers for my spare figures. Hi!!! the biker scout is in house again!!! All perfect, fast shipping!!! Thank you very much!!! Slightly off topic, but that is an impressing set of MIB Speeder Bikes you have there in your avatar! 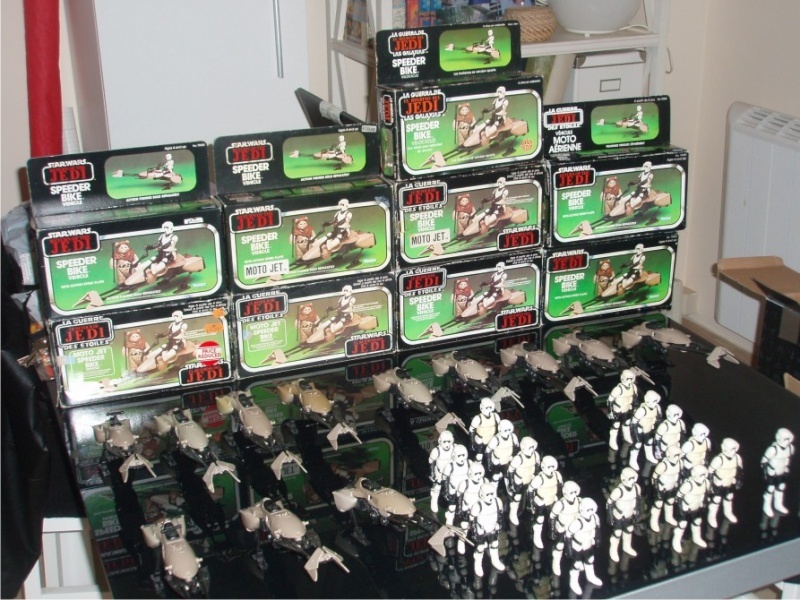 Thank you, yes, this is my small collection... biker scout and speeder bike(some biker scout carded are absent,), my favorites!!! Thanks to Kenneth_B, now I have an other wonderful Spanish PBP Biker Scout to my collection!!! Updated with sold / pending figures & some price reductions! Huge thank you to Kenneth on our recent deal. Not only were you were an absolutel pleasure to deal with business wise but it was also great chatting with you and learning some new things. The PBP Luke Hoth looks great standing next to his Meccano brother. Thanks again also for throwing in the extra figure and for doing me a great price. Guys deal with Kenneth with 100 percent confidence. Good luck with the sales my friend!!! You have a nice bunch of rare Spanish figures for sale, that's for sure. Sales can be a bit slow though atm. as many are busy with preparing their summer holidays and following FIFA. Just give it some time, my friend. And don't feel reluctant to post the second wave. I'd be interested in seeing what items you have in your second wave?